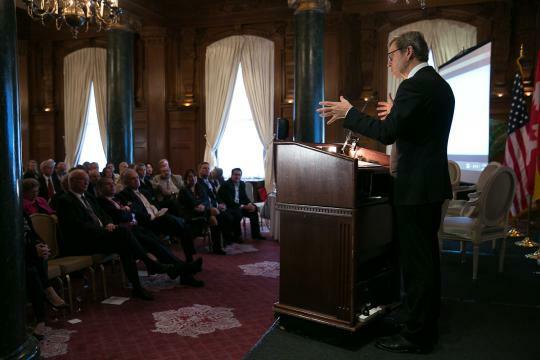 As Dr. Guido Westerwelle, former Minister of Foreign Affairs of the Federal Republic of Germany, remarked in his speech, while there is no direct English translation for the words ‘Mittelstand’ – ‘Wirtschaftswunder’ – ‘Energiewende’, most Americans still know what the terms mean. In order to understand each other, we do not need direct translations. Yet, we do need forces like the Friedrich Naumann Foundation for Freedom (FNF) to boost international dialogue and to function as a catalyst for international understanding. Freedom, democracy, the rule of law and the protection of human rights are the basis for the Foundation’s work. 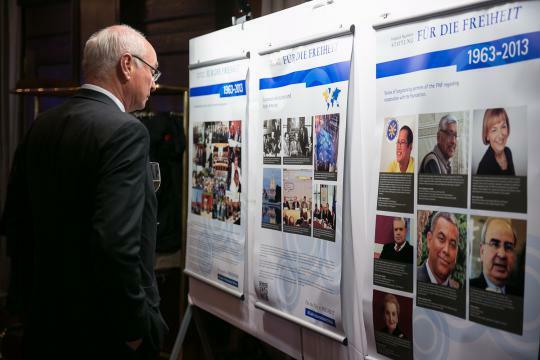 In the last 50 years the Friedrich Naumann Foundation has established itself in various regions all over the world and has built up a broad global network. Currently, the Foundation has seven regional offices and 47 project offices to coordinate work in 70 countries. 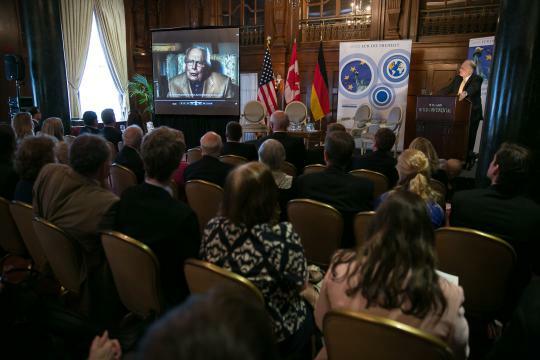 The Transatlantic Dialogue Program (TAD) plays an important role in the Foundation’s international work – fostering the relationship between North America and its partners across the Atlantic: Germany and the EU. 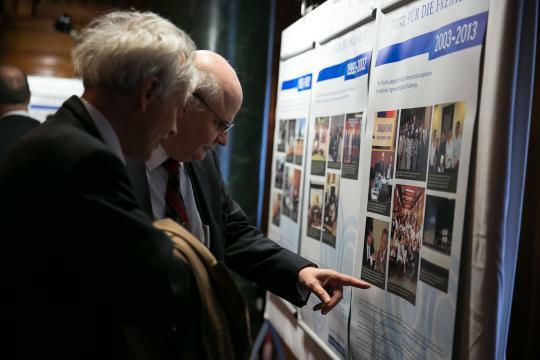 Together with friends and partners the TAD looked back at its past work and looked ahead to future challenges with an anniversary event in Washington D.C. The active engagement of free citizens is the essence of society. 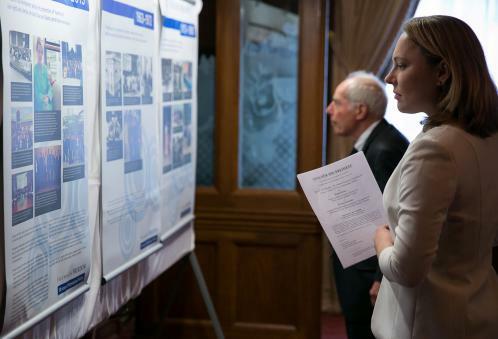 Supporting this engagement has been the purpose of the Friedrich Naumann Foundation’s international efforts since its establishment 50 years ago. This mission began in 1963 in Tunisia and has expanded to programs and projects with more than 800 partner institutions worldwide. 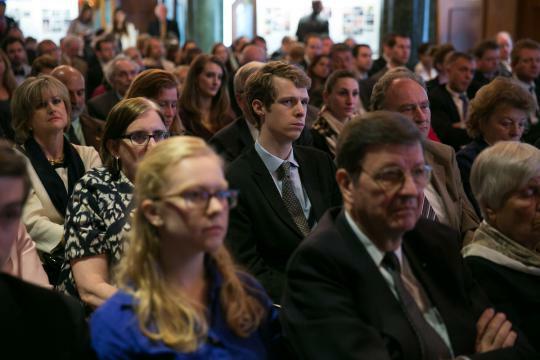 The Foundation’s international initiatives aim to support the establishment of basic conditions for a free society: transparency, free markets and the rule of law. 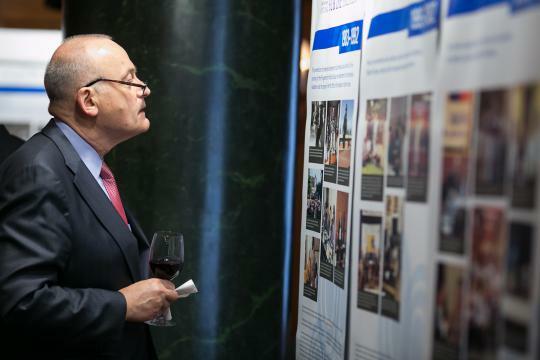 But, as Manfred Richter, Treasurer and Member of the Board of Directors of the Friedrich Naumann Foundation emphasized during the event, “the philosophy was not to act like missionaries, who bring the light of truth, but to work together with partners”. In other words, the FNF works on an equal footing with its partners to solidify free societies within target countries. 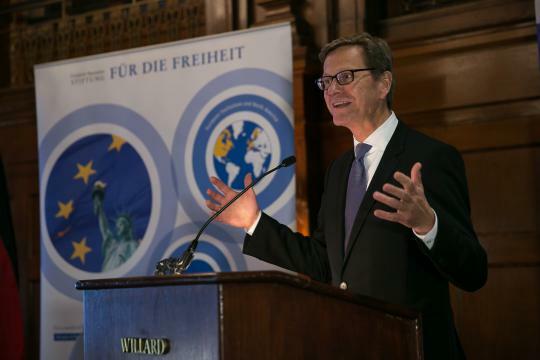 In a world of “high-speed globalization” the Foundation faces new challenges, as Dr. Guido Westerwelle underlined in his speech. 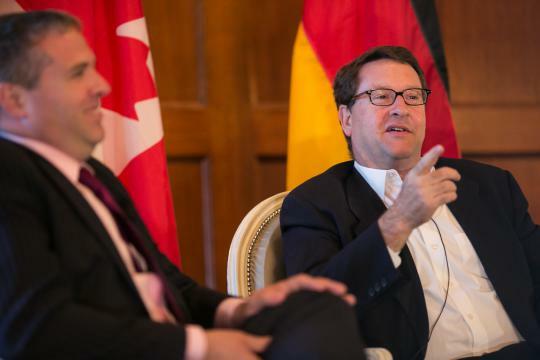 Over viewing the ever-changing global landscape, he cited demographic change, the crisis in the Ukraine, and the TTIP negotiations as important issues. He especially stressed that trade negotiations mean more than freer trade and decreased taxes but that they represent a ‘political project’. 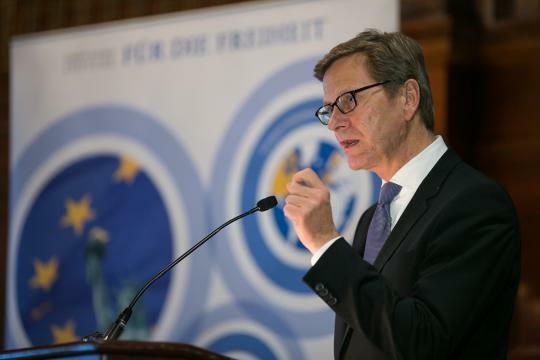 Will “we set the standards [for trade and its political implications], or will others do it?” Westerwelle asked. 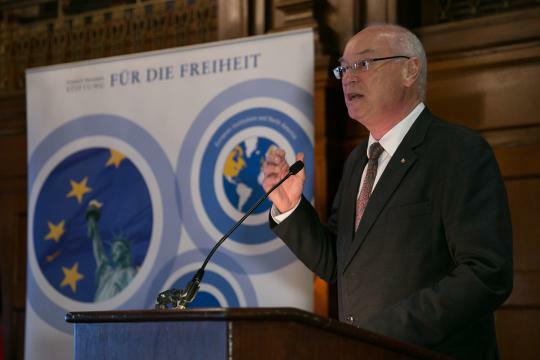 To manage these challenges, he stated, ‘we have to stay united to promote and to defend our common values for freedom and responsibility and this is the tradition of the Friedrich Naumann Foundation’. On the panel Scott Andrews, Member of the Canadian Parliament, and Mike Shields, Chief of Staff at the Republican National Committee came together with Joe Hansen and Sherry Greenberg, both Democratic Campaign Experts. 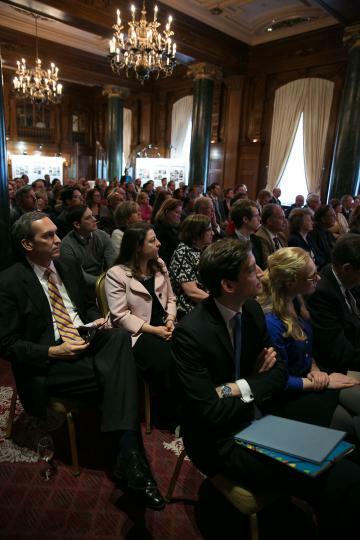 All of them have participated in programs of the Transatlantic Dialogue’s and talked about their experiences. During their discussion, they pointed out that a real understanding of German politics, culture, and history is only possible through visiting the country. Their study trip with the TAD made an in-person encounter with Germany possible. “You can read books, you can meet people and you can go to speeches, but walking down the streets and seeing things happening is a different perspective. You have to be there to understand it”, Mike Shields underlined. 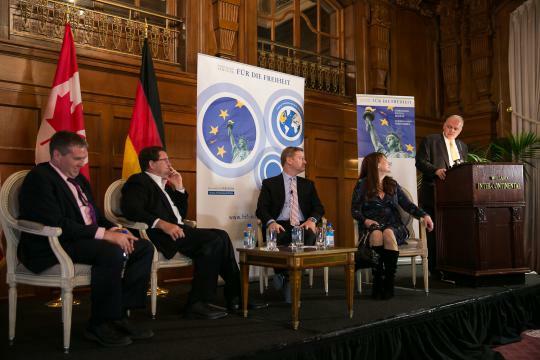 The panelists stressed that only by visiting Germany one can understand the German way of thinking about sensitive issues within the German-American relationship such as the NSA revelations. This different perspective can provide nuance to the way you see your own country. Deep cultivation of relationships within the TAD’s international network remains crucial. Therefore, the TAD integrates former participants in its programs after they return from Germany. Continued contact with partners in North America encourages panels like the one held during the anniversary event. 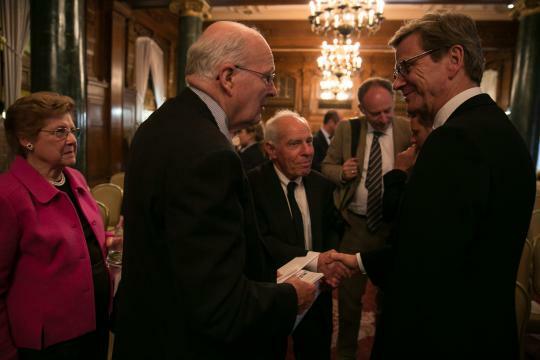 Regular contact between partners on both sides of the Atlantic provides a unique opportunity for dialogue between experts on a variety of critical issues. 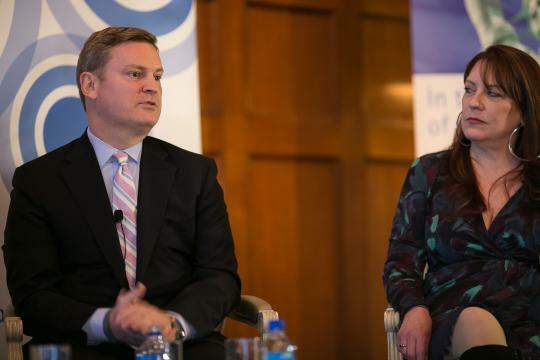 The TAD also brings about some unexpected opportunities for dialogue, as Sherry Greenberg pointed out, between Republicans and Democrats – a rare occurrence in the currently polarized political atmosphere of Washington, DC. 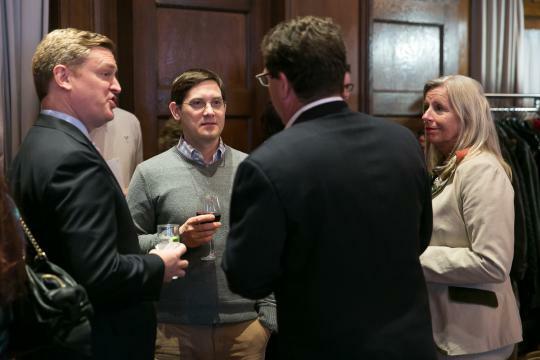 A regular exchange of ideas and opinions both across the Atlantic and across the aisle are the result of the Friedrich Naumann Foundation’s programs. This is precisely why the Friedrich Naumann Foundation’s work in North America is so important.